Ex-LMS 0-6-0 4F No 44272 is seen working hard on a down freight service on 28th October 1951. At the time the photograph was taken the locomotive was carrying a 22A shed plate indicating that the locomotive was allocated to Barrow Road shed in Bristol. 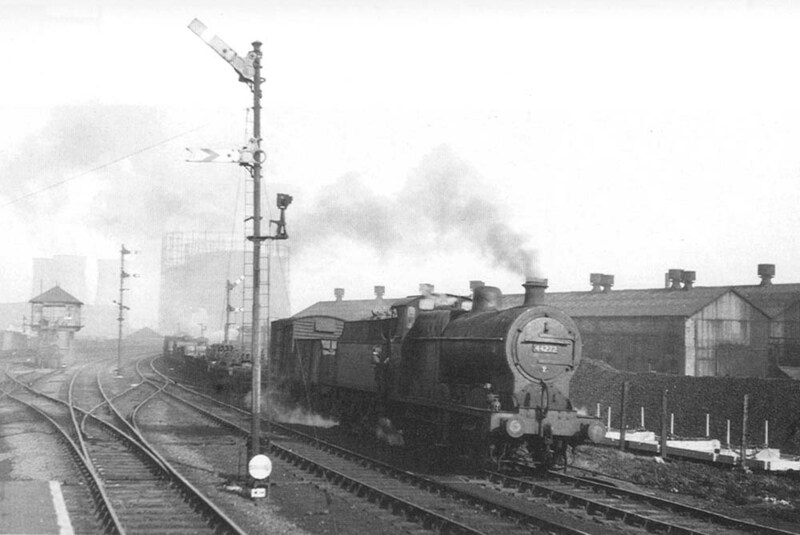 Behind the locomotive is the site of the Birmingham Carriage and Wagon works prior to moving towards Washwood Heath sidings where it became Metro Cammel. Built at Derby works in November 1926, No 44272 was to remain in service until June 1963 when it was withdrawn from 82G Templecombe shed.